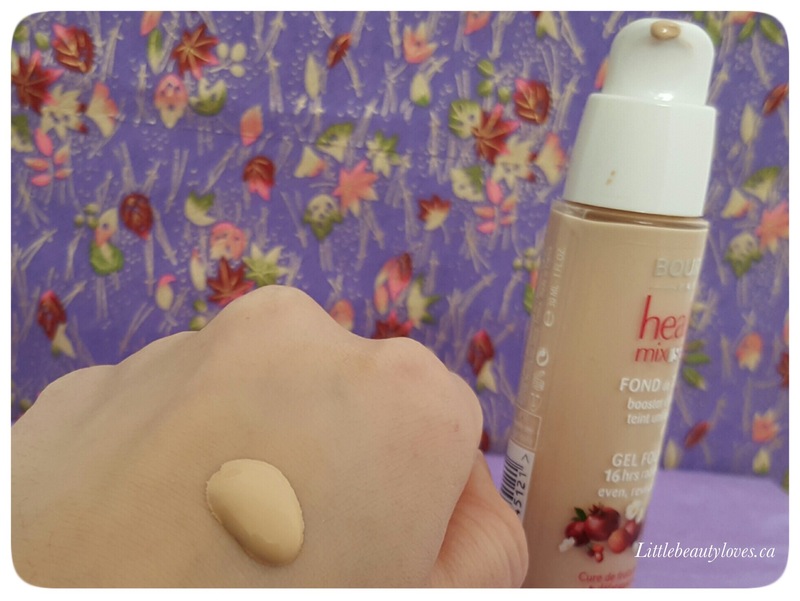 I recently reviewed 2/3 foundations I’ve tried since my Shopper’s Drugmart haul last month. 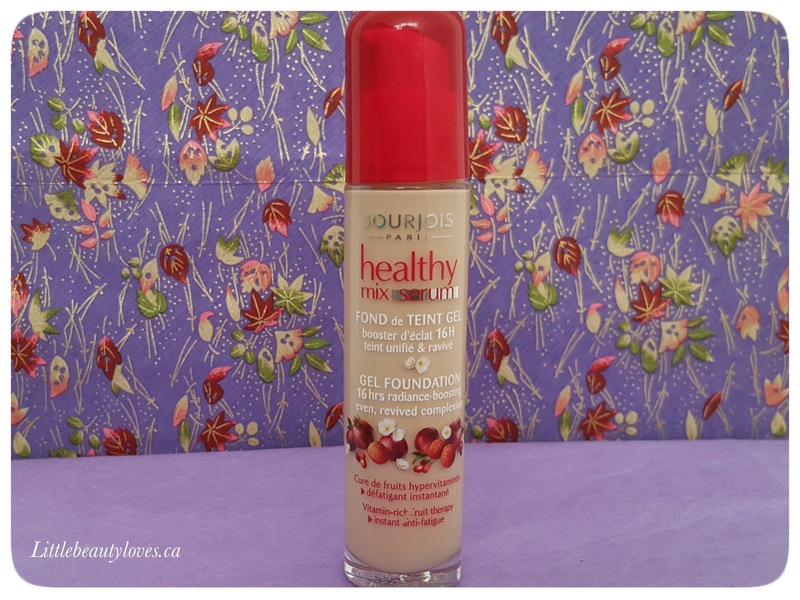 Today I’ll let you know my thoughts on Bourjois Paris Healthy Mix Serum Gel Foundation. I heard a lot of good reviews on this through YouTube from people who have dry skin and thought that I wanted to give this a try as well. Price: $29.00. This is in the same range as the Vichy DermaBlend and the L’Oreal Lumi Cushion. When it comes to foundations, it’s a lot cheaper than a lot of other beauty store brands. Packaging: I like the pump on this. One to one and half pumps will cover my whole face so I that it’s packaged this way. I also love the red lid which makes it easy find amoung my other makeup. Coverage: This is medium coverage but you can really adjust it depending on how many layers you add to your skin without it looking cakey. The gel formula makes it really easy to blend on my skin. I’ve used a beauty blender for this, but I’ve also used my fingers when I’ve been rushed and the results as just as good. It does make my skin look radiant, healthy, youthful and hydrated which is so important for someone with really dry skin. Wear: This wears really well I think. I don’t wear any powders over my foundation, so if I still feel like I have coverage after a full day of work then I know it wears well. This did that. With this foundation, I could go for a lighter coverage and still feel like my skin looked good after many hours. My Thoughts: Of all my foundations, I think this is my favourite (yes, I saved the best for last). It’s really well priced and the way it made my skin feel was the most important thing for me. It felt good having a hydrating foundation on my face that didn’t cling to any dry patches. I would highly recommend this to anyone who has dry skin. What are your thoughts? Have you tired Bourjois Healthy Mix Serum or anything else from this brand? Thanks Cat! Lots of love back! I know! I dont understand why – I know a few people in the states order it off Amazon. Hopefully it goes to the US soon!